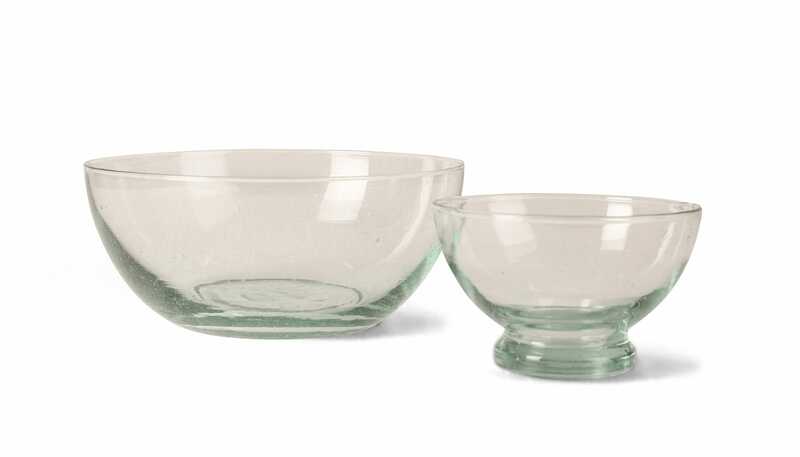 Crafted within a small workshop in Morocco, this large saladier is traditionally mouth blown from 100% recycled glass. 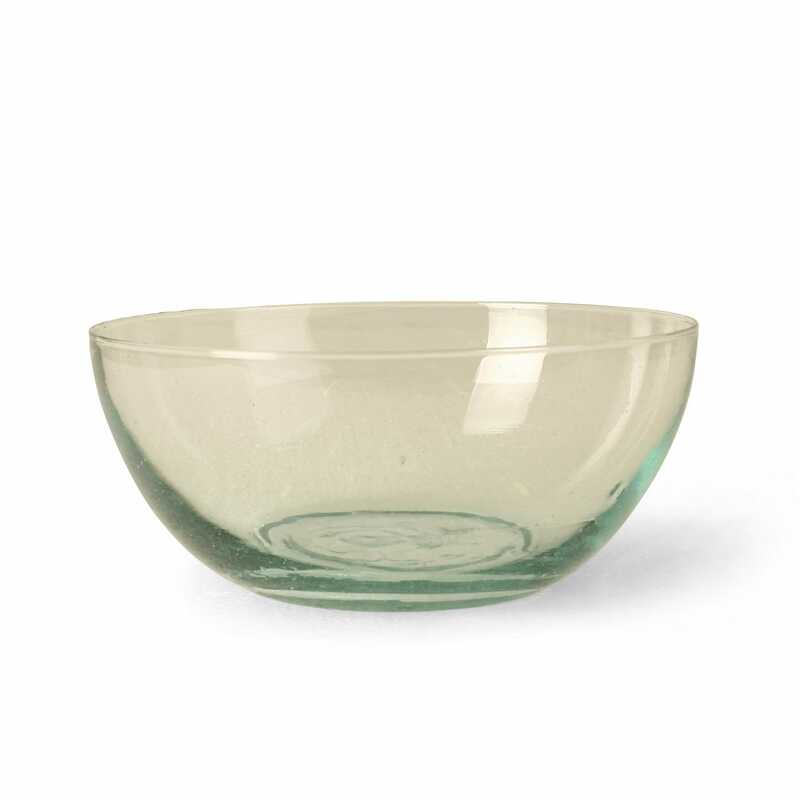 Perfect for serving salads, the sustainable use of materials gives this bowl its thick walled look, while warps, marks and air bubbles demonstrate the handmade nature of the design. Does not look like the photo. Cheap finish; would not buy again.